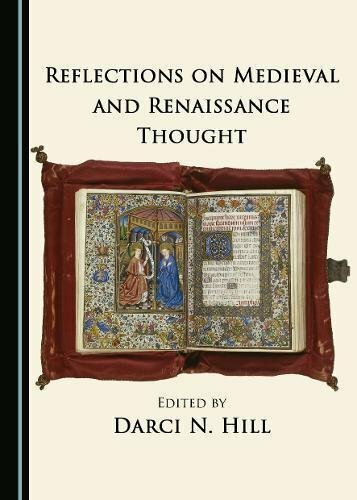 The collection of articles gathered in this volume grew naturally and spontaneously out of the Second International Conference on Medieval and Renaissance Thought hosted by Sam Houston State University in April 2016. This anthology reflects the diverse fields of study represented at the conference. The purpose of the conference, and consequently of this book of essays, is partially to establish a place for medieval and renaissance scholarship to thrive in our current intellectual landscape. This volume is not designed solely for scholars, but also for generalists who wish to augment their knowledge and appreciation of an array of disciplines; it is an intellectual smorgasbord of philosophy, poetry, drama, popular culture, linguistics, art, religion, and history. If you have any questions about this product by Cambridge Scholars Publishing, contact us by completing and submitting the form below. If you are looking for a specif part number, please include it with your message.